I’m sorry for kids who don’t have a rock for a friend. I’m sorry for kids who only have tricycles bicycles horses elephants goldfish three-room playhouses fire engines wind-up dragons and things like that – if they don’t have a rock for a friend. The author goes on to outline 10 rules for finding a special rock. Back then I read some of Baylor’s other books and resonated with the compelling poetic prose frequently set into quiet Southwest landscapes. Without investigating author information or context, I put Baylor on my list of favorites. I was compelled by the regular thematic call to Stop. To Step Away from the noise. And Be Present in that place. In that moment. 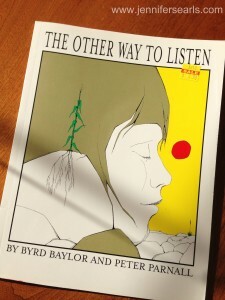 Your Own Best Secret Place is a wonderful look at where to find a special place: A hollow in the foot of an old cottonwood tree, an old sand gully, amidst the mountains and tunnels and craters and caves of bales of hay in a barn, perhaps a pear tree in Virginia that bends down to the ground. And what to do in that special place? Perhaps sit there on a fallen white tree trunk and watch for beavers or badgers or fox to pass by. Or if it’s raining: curl up like a fox, cozy and warm, looking out at the rain. You may find that hay smells better than flowers and is the best thing in the world to sleep on. You can eat a pear for breakfast. Find your own best secret place and BE there. “Sometimes EVERYTHING BEING RIGHT makes a kind of sound,” says the old man in Baylor’s book. There is so much depth and richness to this mash-up of Baylor and Hempton that I’m going to circle back another day. The podcast is thoughtful and challenging. I recommend it. 1. Byrd Baylor is a woman!! For completely unfounded reason these 10 years I had assumed she was a he. 2. 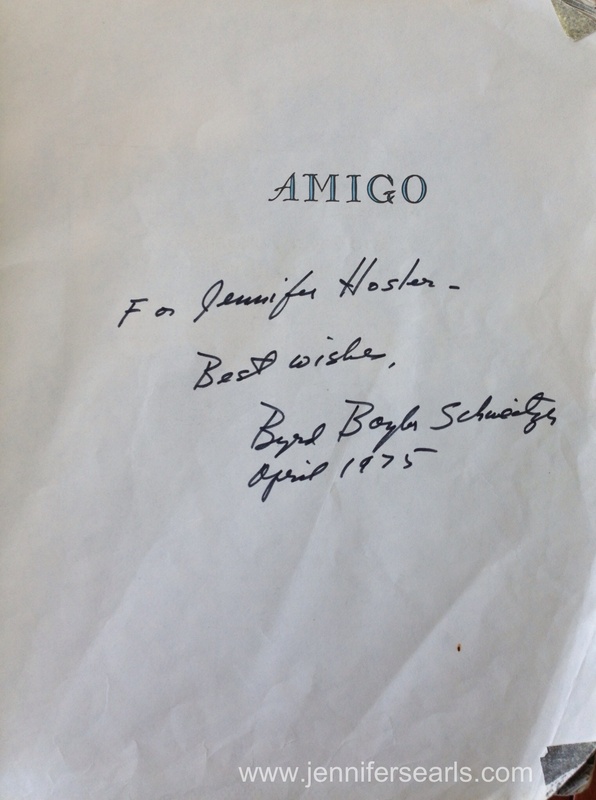 She wrote a book titled Amigo. WHAT?!?! 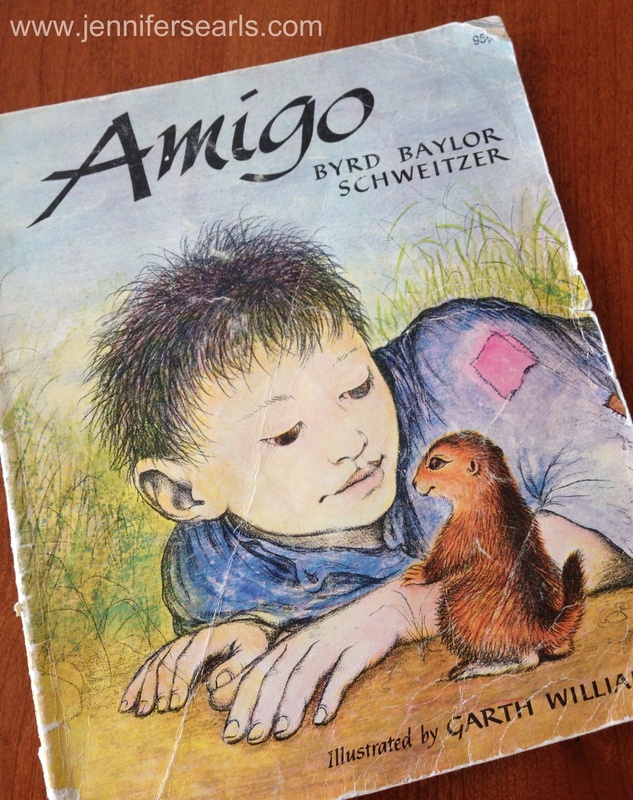 Amigo – the tired, tattered, well-loved book I got some time in my early childhood. WAIT!!! My copy is autographed. MORE!!! I hate “stuff” and am easily a thrower rather than a saver (how many treasures my husband and boys have rescued from our garbage cans) – but I was sure that book was downstairs in a bookshelf pile!! I ran downstairs to check and there it was easily found. That is simply unbelievable. I hadn’t read the book for years, but as I picked it up memories raced through my hands straight back through time and landed in my childhood. 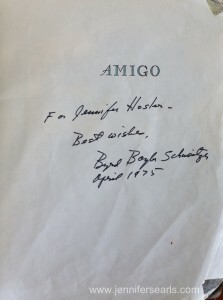 I flipped to the first page of this story I have always loved and found the inscription: To Jennifer Hosler – Best Wishes. Byrd Baylor Schweitzer April 1975. In April we flew to Oregon and spent 2+ weeks fully immersed in an unusually warm and absolutely glorious Oregon spring. We left piles of Alaska snow and a string of days stretched backward to months spanning a very long, white and cold winter. But in Oregon we could see grass. And it was green! Flowers and trees of all shapes and sizes were in full bloom. The air was warm. We ate ice cream and went to a Timbers game, just like summer. 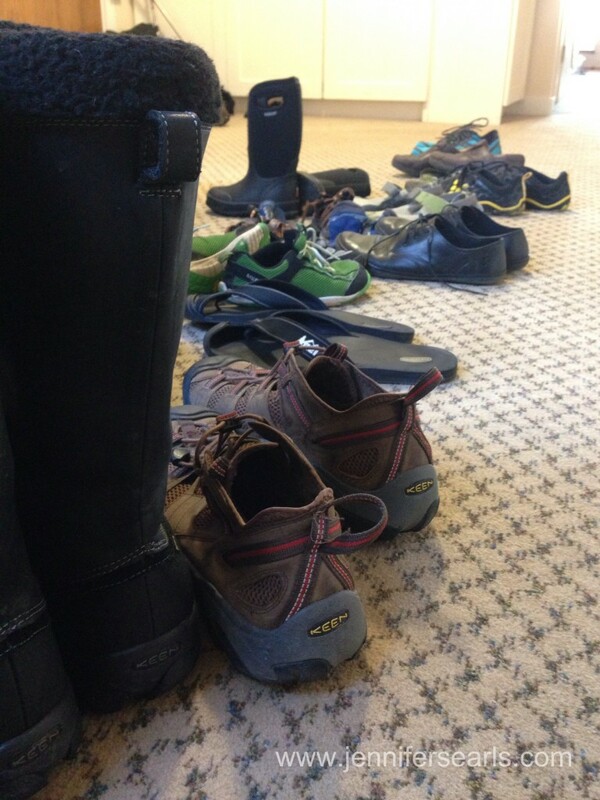 But the Oregon dream came to an end and, though the boys wore shorts, they tied on down coats as we walked through the revolving doors at the Portland International Airport for our flight back to Anchorage. After the full-blast schedule of people and responsibilities I wondered how the transition back to my quiet Alaskan life would go. I expected the boys to miss their puppy Ginger who lives with my parents since our move. I was not eager to leave the presence of dear friends and family. We were returning to a place that relies on “shipments” for the food and goods that supply our needs and routines. Oregon weather could not have been any more spectacular during our visit and my news from Anchorage was filled with reports of cold, sloppy, late snow gloom. It doesn’t matter where I take off my shoes. It matters that I can. Set in place, but rooted in relationship. Home is where I am. This picture was taken the day of my hospital release 8 years ago this June. I can’t see my messed up foot and nasty elbow wound. I can’t see the broken ribs. I can’t see the fiery hot brain; the confusion and fear. But I remember. A couple days later my boys took their bikes out to test the steadily improving conditions. ￼Inspired by the singing birds (and 40 degree mark on the thermometer!!!) 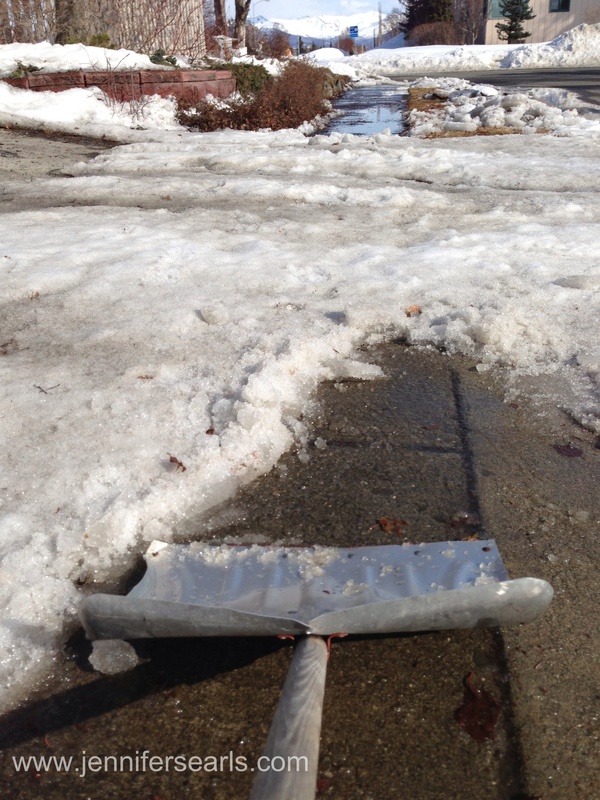 I went out midweek and began chipping and shoveling the 2-3 inch layer of snow/ice that’s covered our sidewalks for months. Behold! Bare pavement! It’s actually been a several day project; this sidewalk clearing. The snow/ice combination was really packed tough in spots. But the glorious sun continued its work and I persistently showed up each afternoon to chip and shovel wherever the sun gave me advantage. Tonight I finished the last bit. 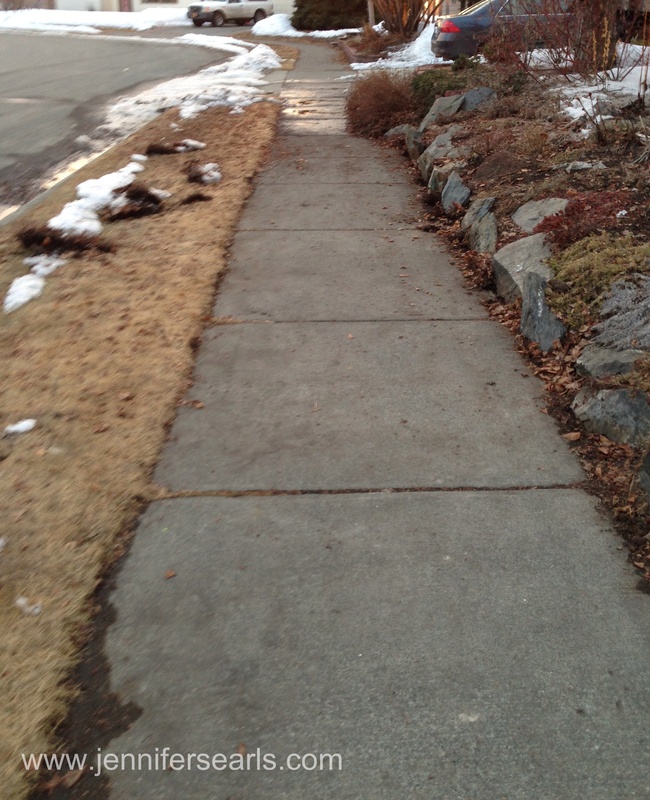 Our sidewalks are clear! Tomorrow it’s supposed to snow several inches. A whole new layer of snow and perhaps it’ll seem as if nothing has changed. But I was thinking…..
1. Tonight I have blisters from shoveling. Even as my skin broke and my hand bled, I breathed sunshine. I walked in clean dry places. 2. In these recent winter months I learned to drive through piles of snow. I wore boots and hats and gloves and coats. (And Skhoops!) 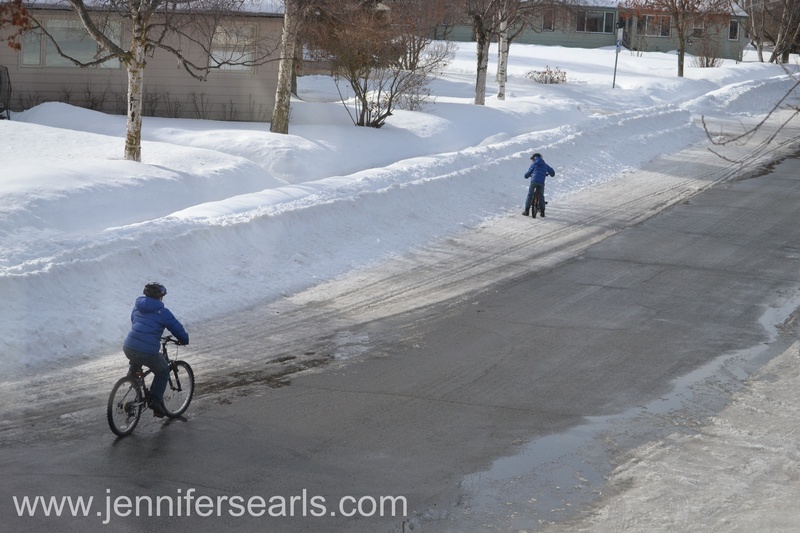 I carried my groceries across parking lots blanketed by ice and snow and slush and slop. The nights were long. The days were very very cold. I may not have wanted to live those particular days and nights and the myriad challenges they presented. But I chose to lean into them. And I moved through them. 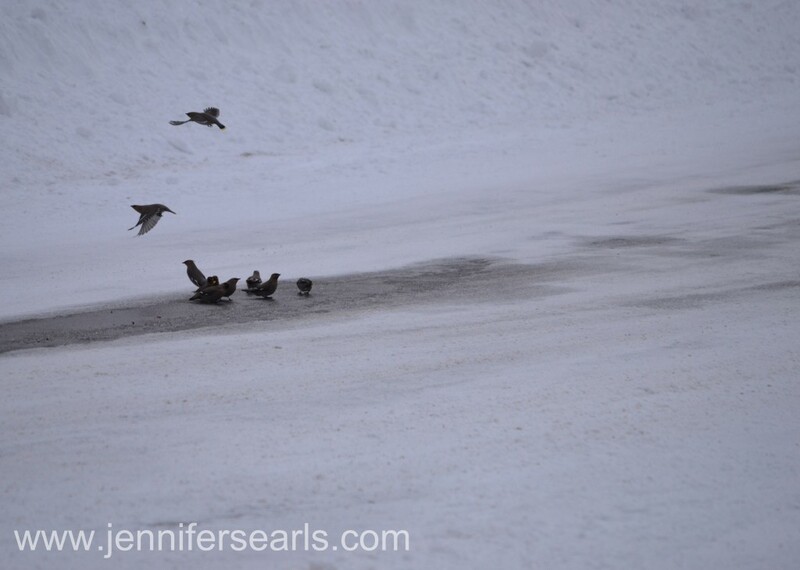 Along the way I skied and learned to recognize birds. I skated on ice and watched moose amble through our yard. I stood beneath the Northern Lights as they danced across the great big Alaskan sky. In the middle of a hard patch it sometimes feels like I’ll never make through. But in fact, I’ve just to turn around to see. There are always handholds. A place to set my anchors. A new angle for approach. I will make it through. Even if it snows tomorrow. Hanging Out My Laundry: thankyouthankyouthankyou!! Almost five years later I ran into the doctor again and told him I had not forgotten his gift of compassion and insight. I also told him I’d read 50 books the previous year. For real. It’s been a long road back. 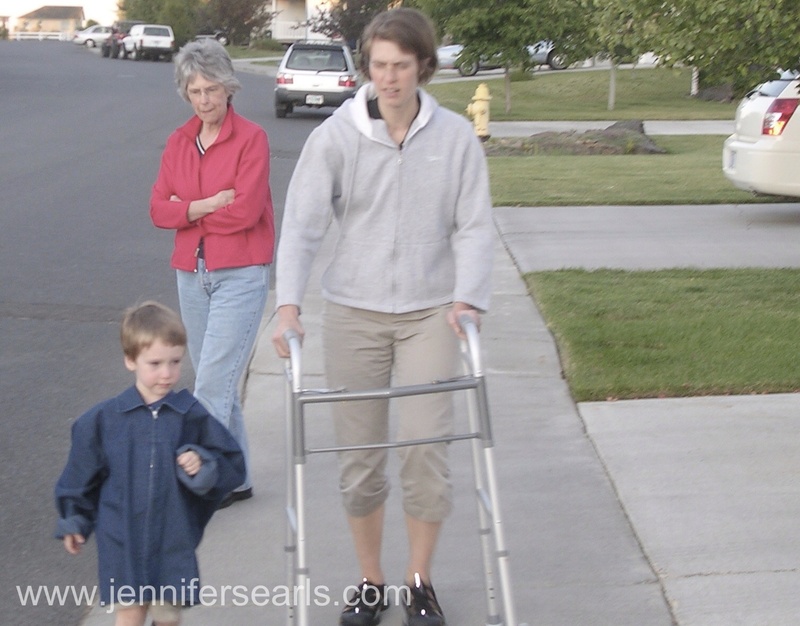 The brain injury made it tremendously difficult to attend to details and stay focused. This created the most trouble with fiction because I’d completely miss story building elements and then the stories didn’t fit together for me. It was exhausting and defeating. Eventually I discovered that I could use post-it-notes to keep track of things I wanted to remember. This was brilliant for nonfiction, but it didn’t work so well for fiction. I still post-it-note my way through books. Early in my reading comeback I diligently typed those notes to my computer and so I have extensive notes from many nonfiction books I’ve read. Technology has evolved and I’m happy to read electronically so I rarely type notes anymore, but have Kindle highlights instead. The first books I remember finishing were Brain Injury Memoirs. It felt good to read stories from other people that affirmed my own experiences. Brain Injury is often called the Silent Injury and a therapist once told me if I’d wear a helmet people would better accept the fact that I had an injury. Since I looked okay and acted okay it was hard for people to believe that anything was wrong. Unless you lived with me. 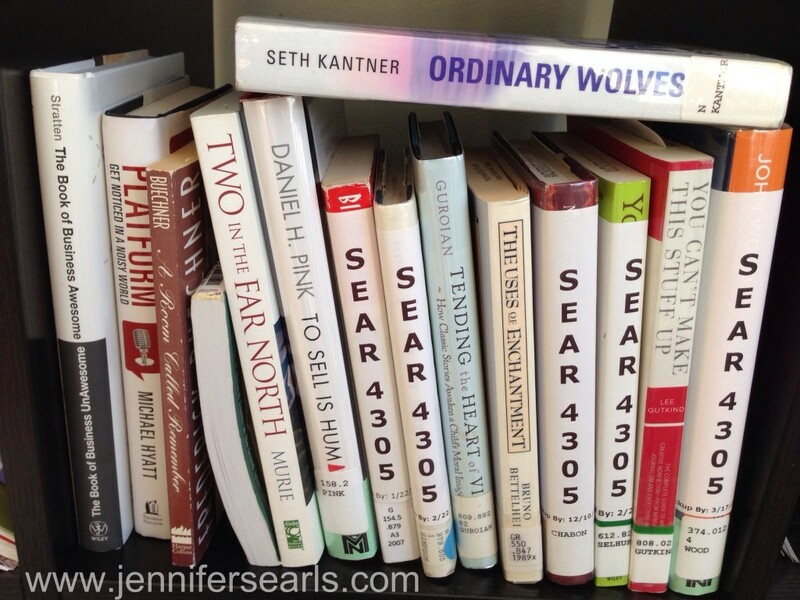 As I gained reading experience with those memoirs I began reading more. When I added the post-it-note routine I gained confidence. I started keeping track of the books I finished and now it’s fun to look back. I still struggle with fiction, but starting in January this year I’ve been reading a lot of fiction to the boys and it seems to be expanding my tolerance for attending to the details of fictional story. It’s healing. And it’s fun. We sing a slow hymn at my church St. Andrew, that goes, “God has smiled on me, He has set me free.”…..You can’t have gotten from where you were – gripped by anxiety, tiny with fear – to come through to freedom, for God’s sake. To have been so lost that you felt abducted, to feeling found, returned, and set back onto your feet: Oh my God, thankyouthankyouthankyou. Thank you. Thanks.